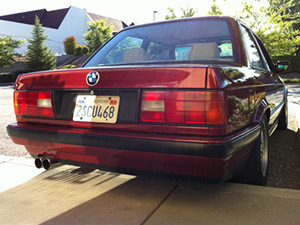 This is a 1990 BMW 325iS that belongs to a great customer of ours. We swapped in a ’98 M3 S52 motor complete with OBD1 conversion, Underdrive pulleys, Bigger injectors with euro HFM with Custom Software, Stromung Muffler, 5 speed M3 ZF Gearbox, 3.25LSD rear end, Ground Control Coilovers, and updated the interior. This car is a sleeper! This engine combo has been known to put out around 220rwhp and in an E30 that makes for a very fast and enjoyable car, with turn key reliability as well. The car is still a work in progress but is coming along nicely, and now has an ice cold A/C for the summer months. 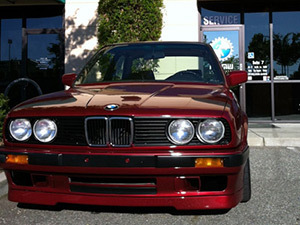 Paint and Body were done by TNT in Sacramento with the factory calipso color being retained. The car has euro trim, shaved door locks, and no badges. 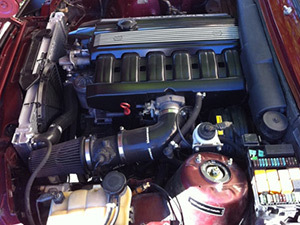 Give us a call if you are interested in getting an engine swap performed on your car! We will give you honest pricing and help you budget your money to get the job done right. Oil in Your BMW—When Should It Be Changed? 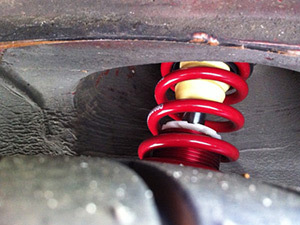 How Important is Having Your BMW Maintenance Performed?